This is the second month in a row I’ve received a humorous blog for my Secret Recipe Club assignment. This month I was assigned to Why Am I Not Skinny which, of course, left me pondering that question. Then I made smores with bacon on them and was quickly reminded of why I am not skinny. Anyway, I had a fun time going through the blog and looking for something to make. With the abundance of fresh corn we have around these parts in the summer, it didn’t take me very long to decide on corn fritters. I was also very intrigued by the picture, which showed a corn fritter topped with fresh mozzarella and a tomato slice. 2. Combine the corn, flour, egg, baking powder, chives and salt and pepper together. The mixture will be quite sticky. Add additional flour as needed. Form into 8 evenly sized corn patties. 3. Heat oil in a dutch oven over medium high heat until shimmering. 4. 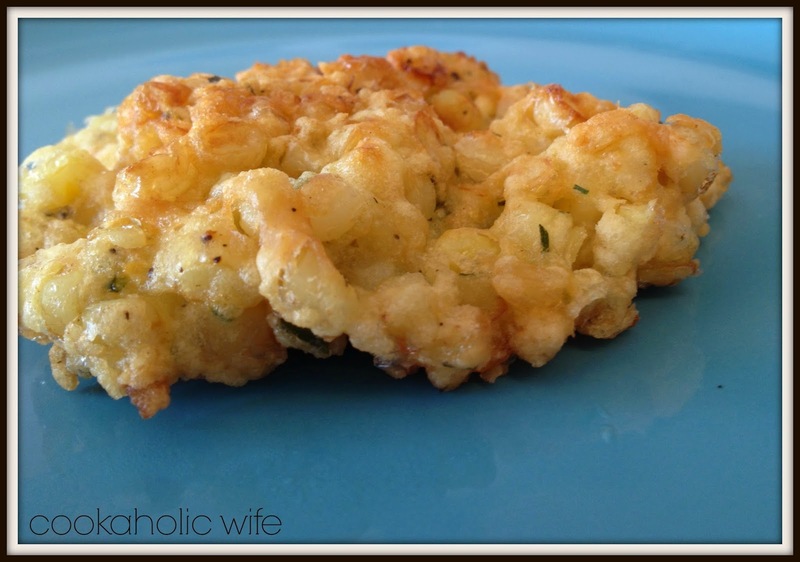 Gently lower the corn fritter into the oil and cook for 1-2 minutes on each side or until golden brown. 5. Remove with a slotted spoon, shaking off excess oil and place on a paper towel to blot any remaining oil. 6. 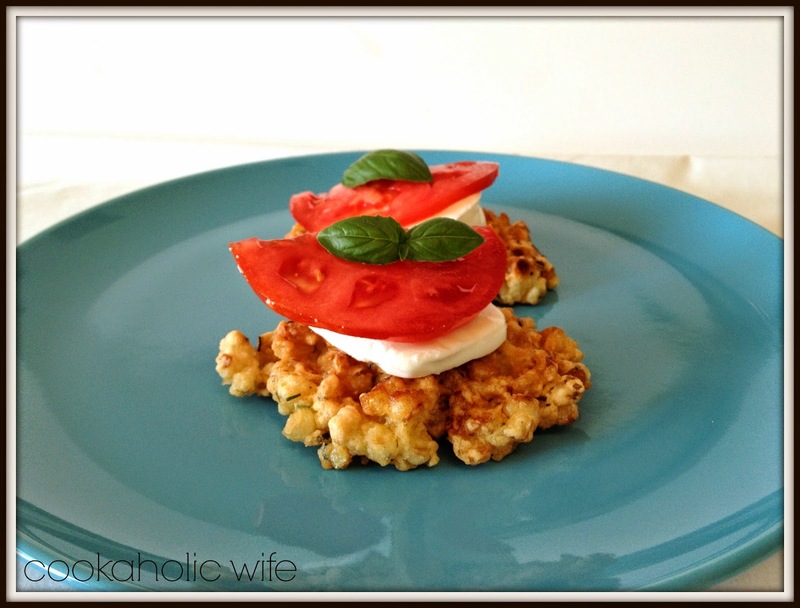 If desired, top each fritter with a slice of mozzarella, a tomato slice and a basil leaf. I couldn’t get over how pretty the corn fritters looked with their colorful toppings. What shocked me even more is I sat down to eat one and Tom said it looked really good and really pretty. Then he asked if there were more and if I could make him one like that. Confused, I told him there was a tomato slice on it. And basil. To which he stated it looked good as is and he wanted to try it that way. Hell froze over or we gained another planet or something because he actually ate two of them topped with tomato and mozzarella (no basil, but hey I’ll take a victory where I can get it) and asked when I could make them again. I’m still in awe over this! Yum! What a perfect recipe for the end of summer. And how awesome that your husband loved it! These look quite tasty! Pinning… Visiting from Group B.
I love your story. Every once and a while, hell freezes over here too and J asks for something that makes no sense, based on past experiences with food. The fritters look yummy. I love fresh corn season! Oh my goodness…these look amazing. Perfect for all the fresh corn right now! The fritters with their toppings sound delicious and look so cute. I can totally see a tray filled with these colorful bites making an appearance when we have company next. yum…yum…yum…these sound and look like something I would love to eat every day! 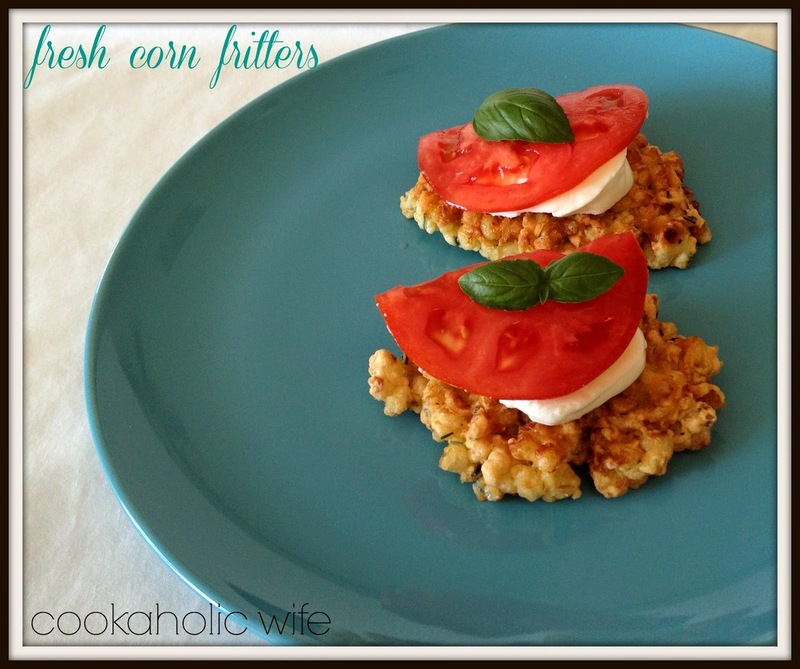 I have always wanted to make corn fritters- now I have a great recipe to follow! 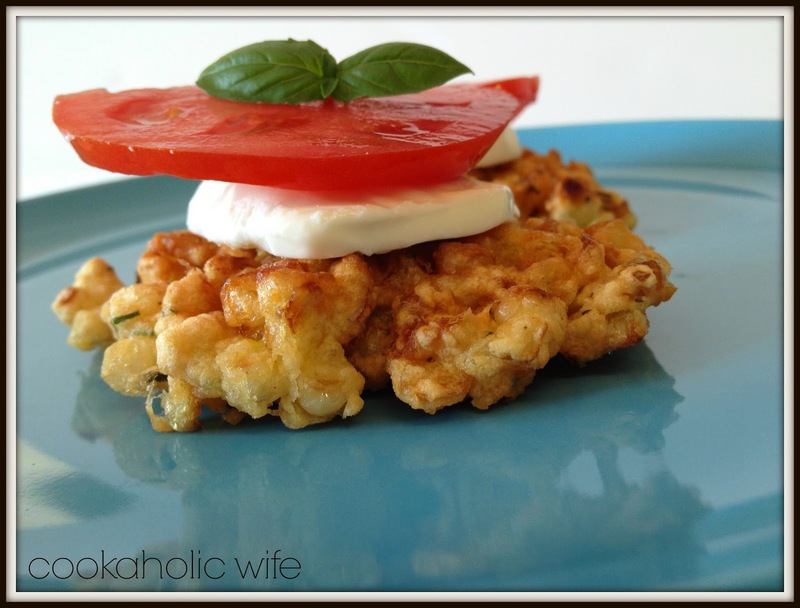 corn fritters are so wonderful! what a great recipe.